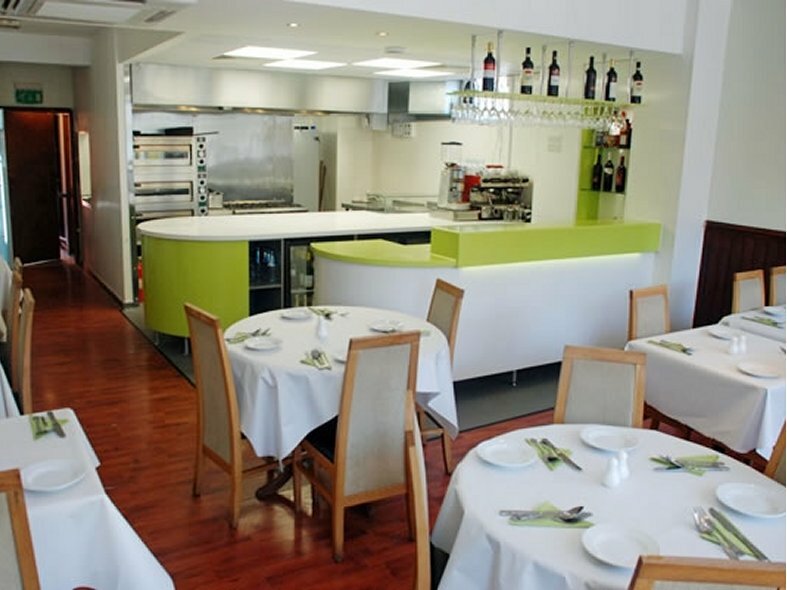 When business premises owner Roy Fitzgerald decided to give his Italian restaurant a facelift he chose Countess Interiors for an eighth time. Countess Interiors had already completed two bedrooms, two bathrooms, the kitchen, a utility room and all the fitted furniture in the living area of his flat above Isolabella's in Leyland now it was time to tackle the restaurant kitchen and bar. 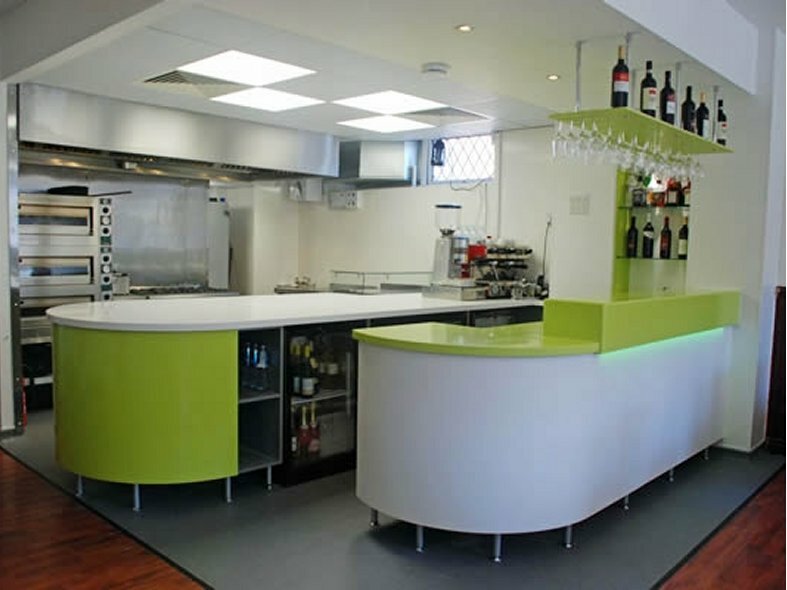 With many rewarding years of running the popular Italian, chef Ginni Maullu had set ideas on how he wanted the busy kitchen to function - with lots of open space, plenty of work surface for pizza preparation and to be able to keep his trained eye over the bar area. 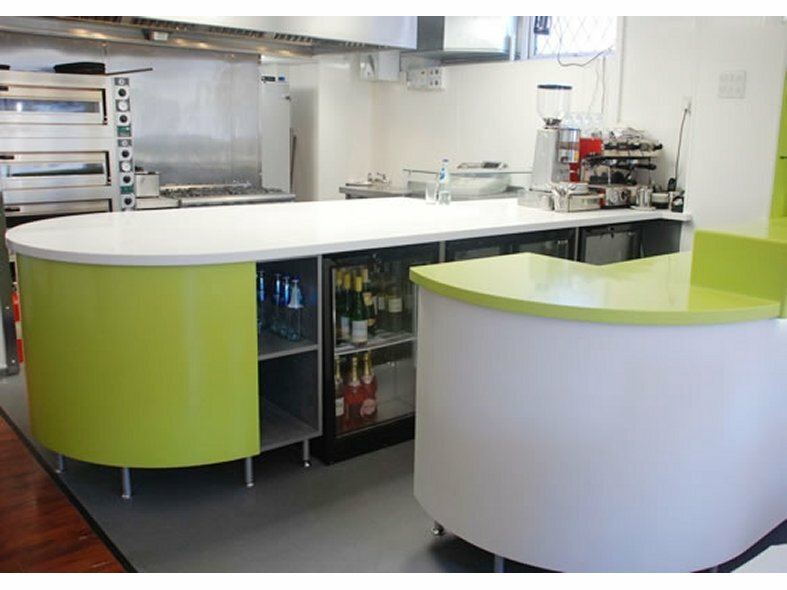 The bespoke DuPont™ Corian® kitchen furniture left the factory ready to be installed to minimise the time the Restaurant was closed. Walls were taken down and rebuilt and clad with either stainless steel or special commercial kitchen paneling, the floors were levelled and replaced and a new suspended ceiling with lighting installed. Working with local steel fabricator, R Briggs Ltd a new extraction and fresh air input system was designed and fitted. Hosting a whole range of new commercial appliances the kitchen came together and integrated well into the airy new bar area. 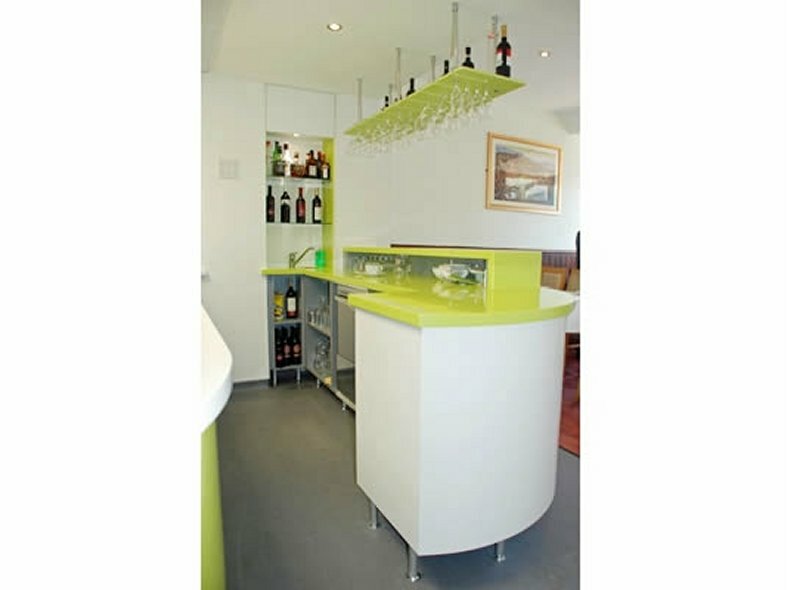 Glacier White and Grape Green Corian® formed the extensive working surfaces and their fantastic combitherm press came into its own when producing the sweeping curves of the cabinets thermoformed in Corian®. 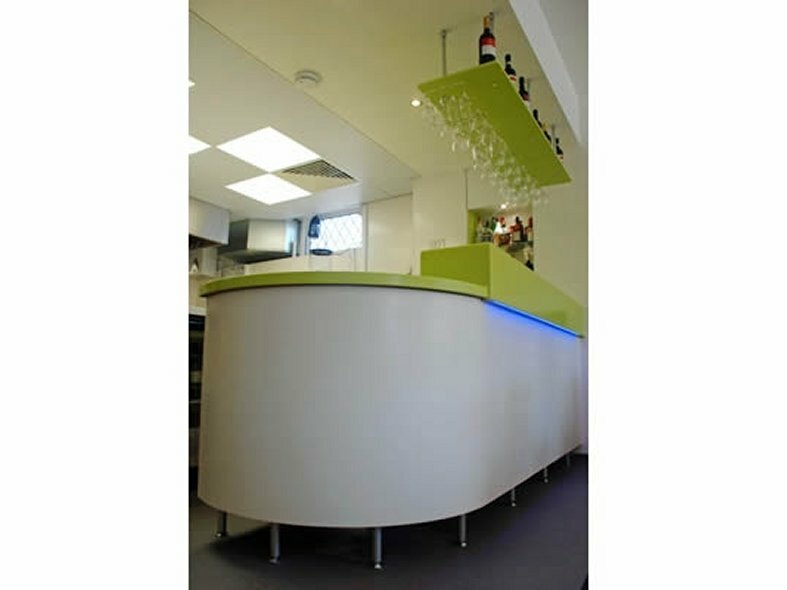 Colour changing LED lighting and a bespoke Corian® wine glass and bottle holder completed the restaurant's fresh new look. A bustling opening night, the stunning refurbishment complete, Ginni and his staff were greeted by many of their complimentary locals eager to get back to the popular Italian & Sardinian cuisine that Isolabella's is renowned for.